The Program at Camp Poyntelle is exciting, fresh, diverse and challenging. 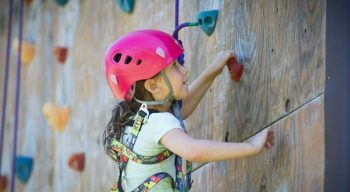 We create an environment where campers feel comfortable extending beyond their comfort zone and trying new things, while building skills in activities they already love. In doing so, they grow as a person, alongside great friends and nurturing staff. Each day is designed to offer a full experience for every child, challenging them with diverse events and solid instruction. 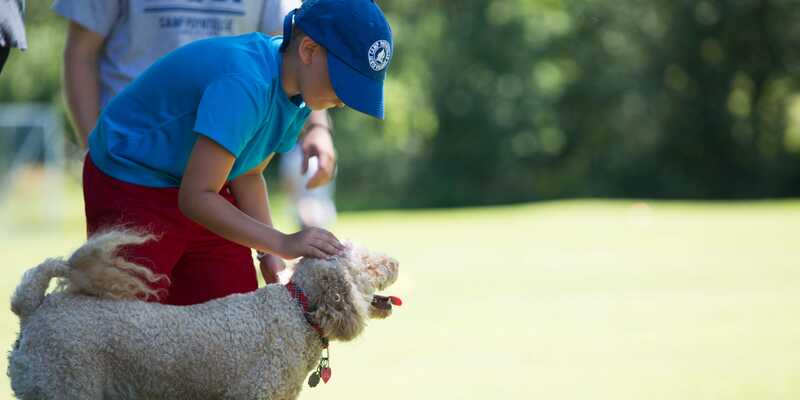 Throughout the summer, children will be immersed in structured activities, elective based programming and weekly athletic clinics, arts and aquatics. 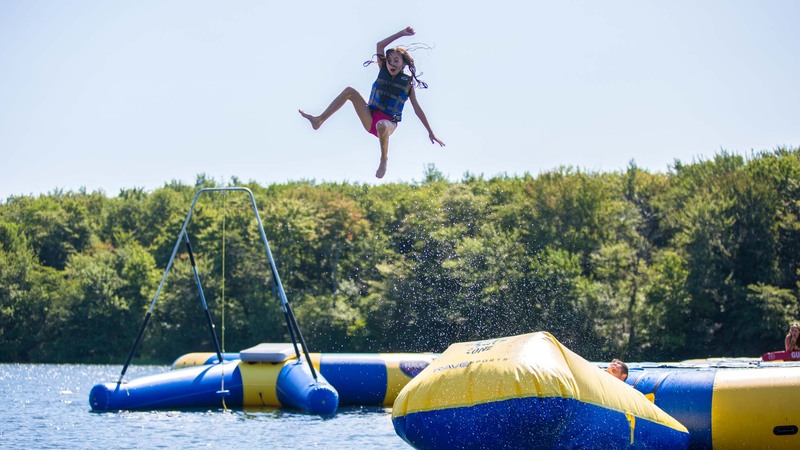 Whether they love sports, being creative or swimming in our one-of-a-kind lake all day – Camp Poyntelle has it all! Traveling camp by division, campers will take part in structured activities each day. During these 55 minute periods, we offer a mix of approximately 50% instruction followed by 50% play and have fun! 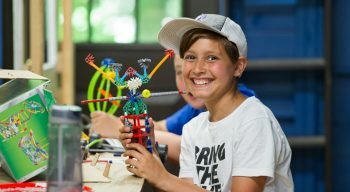 The campers are learning and developing skills, while being able to have a great time playing and competing in sports, creating in one of our many art areas or jumping around our waterpark! They travel around camp as a family…creating memories, building friendships and learning how to play hard and grow as a person. The learning doesn’t stop with solid instruction and great relationships. Each week, one of our Jewish Values is emphasized and modeled for our campers during our structured daily activities! Campers have the ability to customize their daily experience by choosing electives in 2 day blocks. 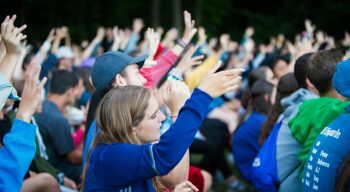 The options are a mix of core camp activities such as waterfront, sports or outdoor adventure, along with more unique choices such as Israeli folk dancing, stand up comedy, STEM inspired challenges, “PAWSOME” puppy care, golf cart driver’s ed, fishing, blog/creative writing for our social media pages and much much more! With such an awesome and talented staff, we provide as much time as possible for our campers to learn and develop new skills in an area they love! Weekly clinics in sports such as basketball, tennis, soccer, baseball and football are very popular and are a great way for kids to spend more time in sports they are interested in. Additionally, our Art program offers weekly clinics as well! Children can specialize in any area of art (creative and performing) and are able to take advantage of small group instruction. Lastly, our waterfront is 70 acres and totally private – simply put, the best in Wayne County! As the diamond of our daily program, we offer a ton of opportunities in waterskiing, wakeboarding, small craft boating and swimming. The aquatic instruction and lake at Poyntelle is unmatched and the most popular part of our program!